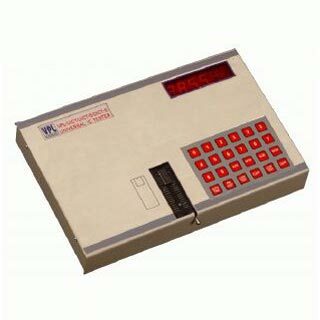 We are a major Exporter and Supplier of VPL IC Tester (DICT). VPL IC Tester (DICT) is a Digital IC Tester (Portable) that tests most of the 6 to 40 pin ICs in DIP package. The list includes 74/54, 40/45, 93/96 series ICs, EPROMs, RAMs, peripheral ICs, microprocessor (8088/8085/Z80/6502), miscellaneous digital ICs. Tests most of the 6 to 40 pin ICs in DIP package. The list includes 74/54, 40/45, 93/96 series ICs, EPROMs, RAMs, peripheral ICs, microprocessor (8088/8085/Z80/6502), miscellaneous digital ICs. 16x2LCD/Six Seven Segment Display to show IC number, PASS & FAIL Status, Operations display. It has 12/16/24 keys for its operation.